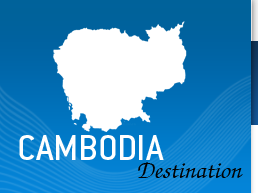 Cambodia is known as the land of Mystery, a unique destination rich in diversity and cultural heritage. Since the fall of the Khmer Rouge there is a new era of peace and stability in Cambodia. The main attraction for a visit to the Cambodia is the architectural wonder of the temples of Angkor, with each temple showing the distinctive style of the ruling Khmer King, the temples are each unique and a masterpiece of art and engineering. The capital of Cambodia Phnom Penh is an excellent place with wide boulevards with every choice of cuisine and bars with an excellent choice for a night out. Phnom Penh also gives a reminder of the dark history of the Khmer Rouge seen vividly at Tuol Sleng “S-21 Prison” and Choeung Ek “The Killing Fields”. Outside from the main sights of Angkor and Phnom Penh and with the help of governments and aid organisations, tourism is being developed throughout the country, providing the local people the opportunity to keep their ancient traditions and cultures alive and show their natural talent as weavers and craftsmen among others.